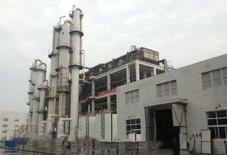 The Urea Formaldehyde (UF) technology provided by SL TEC is based on the traditional alkali-acid-alkali process. It consists of three steps: Hydroxymethylation--under neutral or slight alkali conditions, urea and formaldehyde have hydroxymethylation reaction; Polycondensation-- condition the pH of the reaction solution to slight acid, the reaction mixture have polycondensation to reach a certain molecular weight; Temperature Reducing--condition the pH of the reaction solution back to slight alkali, and reduce its temperature to room temp. to get the preliminary condensed solution. ●The Glue Workshop has been designed in a 2-floor steel structure, and installation materials incl. pipe, pipe fittings and etc. will be saved by 20%. ●Urea is directly sent by the Urea Conveyor from the first floor to the reactor, the urea hoisting is saved, thereby the labor strength is largely reduced, i.e. the material feeding time is reduced by about 30 minutes; also the production safety is largely improved. ●Full-auto control has been used to ensure the operation stability and thereby increase the glue product quality. ●We have learned lessons from both the plate reactor and jacket reactor, and designed a reactor with new structure, it has features like higher pressure resistance, less weldings, less glue coating and higher cooling efficiency. In details, SS heat exchange coils are equipped inside the Reactor while CS semi-tube heat exchanger is designed outside the Reactor. In this way, the production volume has been increased, and internal and external heat exchanger can work at the same time to ensure temperature rising/decreasing promptly. Besides, due to the smaller heat transfer area inside the Reactor, the incurrence of glue hanging on the inner face can be reduced. 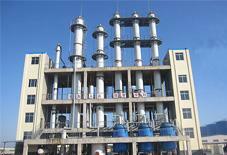 ●Turbo agitator is selected to hoist the solid particles without settling urea and other particles, which makes the liquid in the reactor rolling and mixed more homogeneously. 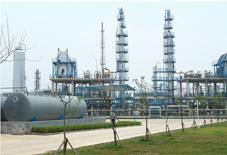 1.Product Specification: as per Chinese national standard GB/T14732-2005.